Freycinet Peninsula holds many treasures of exceptional beauty. My first visit to Freycinet National Park was disappointing! Because all walking tracks were closed. Well it was actually for a very good reason. It was a total fire ban day for the whole of Tasmania. And yes, on my way to the Park, I had noticed the smoke, and heard about the bush fires on the radio. 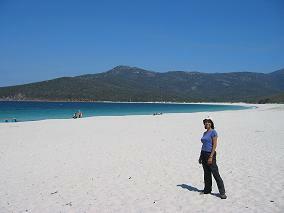 But in spite of that, I had been hopeful that I would still be able to get to Wineglass Bay. You see, that was my main reason for wanting to come here. When someone showed me a picture of Wineglass Bay, I knew I had to go see it in person. There was no two ways about it. Fortunately for me, I was able to return to the Freycinet National Park a couple of days later. 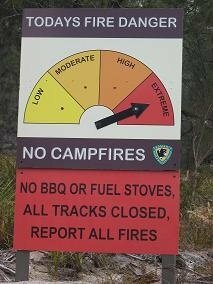 By this time, the fire ban had been lifted, and the bush fires had diminished. All the smoke had vanished too, and it was a sunny blue-sky day! 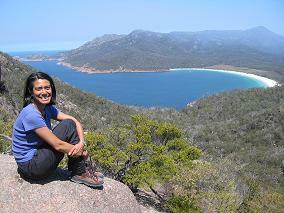 We could not wait to get started on the walk to Wineglass Bay. It would take 2-3 hours return, not long at all I thought! How did this area get such a French sounding name I wondered. I always find it interesting to know what's behind a place name. Invariably interesting historical information is revealed. A side track led to the lookout point. Excitedly, we raced along it to behold - the view... which left us speechless. All we could do was smile blissfully and stare. Eventually though we did unfreeze and managed to take some photos. Does it look like a wine glass to you? The anticipation was building as we headed off to the bay itself. The track started to descend, and this made sense of course, since we were moving from an elevated lookout point to a beach. We were walking through a forest area, which we appreciated very much, as the trees provided shelter from the sun. Twenty minutes from the lookout, we arrived at the gorgeous white sands of the famous beach. It's featured in the book "1000 places to see before you die" - and we could literally see why. There were quite a number of people on the beach. 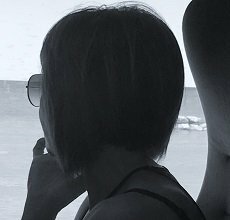 There seemed to be a shared sense of awe as people relaxed on the beach in their own way - either walking quietly or lying down. I felt thankful that the only way to get to the beach was via the walking track or by sea. You could not drive down and park a few metres away. This place was truly special and the powers-that-be had recognised this. I promised myself that I would be back at Freycinet again soon. There were so many other places I wanted to visit here - Hazards Beach, Mount Amos, Friendly Beaches and more. You'll have to come back to read all about it!